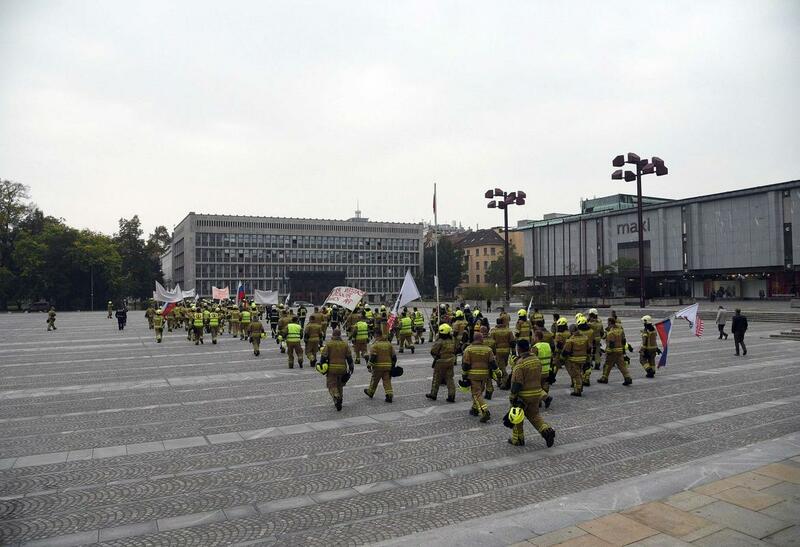 Between 500 and 700 professional firefighters – everyone who wasn't on-duty at the time – gathered at a protest in front of the Government Palace. "My dad is a professional firefighter. 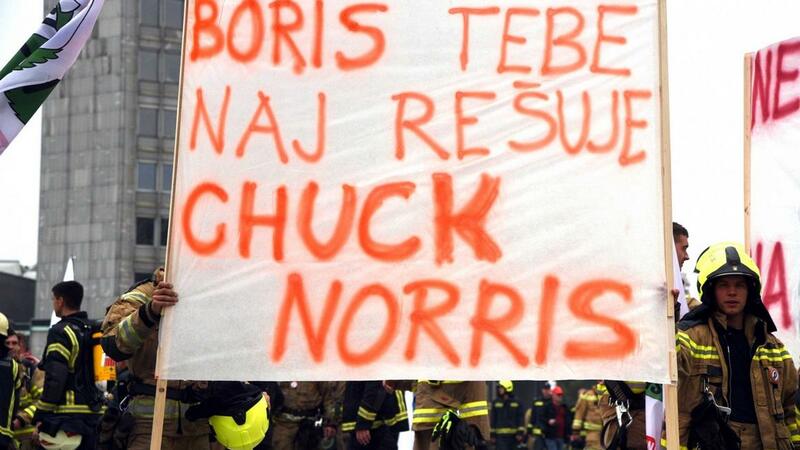 A hero -- and a pauper," stated one of the banners. Gorazd Kosmač Translated by J. B. 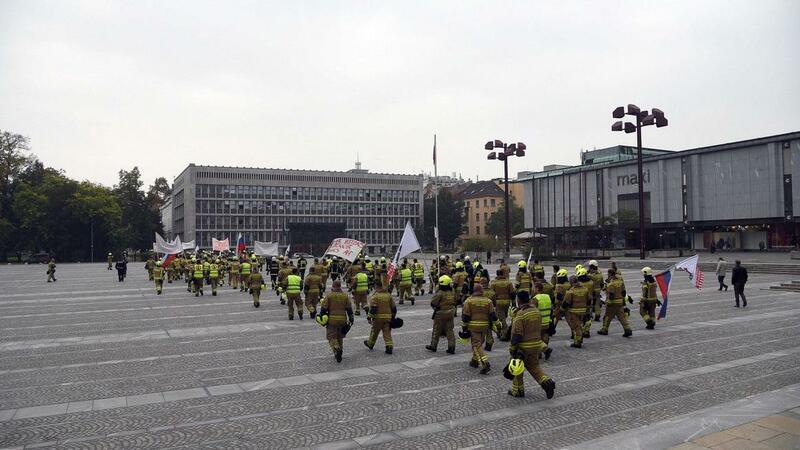 Professional firefighters from across Slovenia, including some from the private sector, took part in the protest march. To ensure they were heard by the government, they made use of sirens and firecrackers. 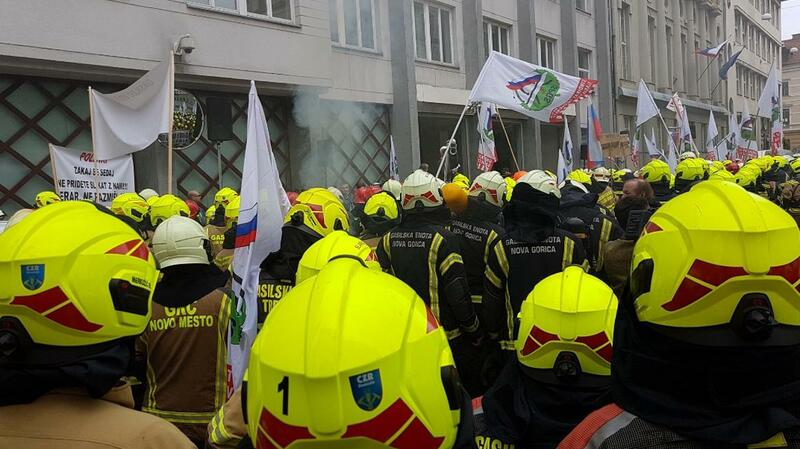 They came to the Government Palace equipped with banners, including: "We're heroes for the people, but fools for you" and "We put our heads into the fire, but we just get a kick in the a** from the government," as well as "fair pay for fair work." Loud chants of "Crooks!" were also heard during the protest. 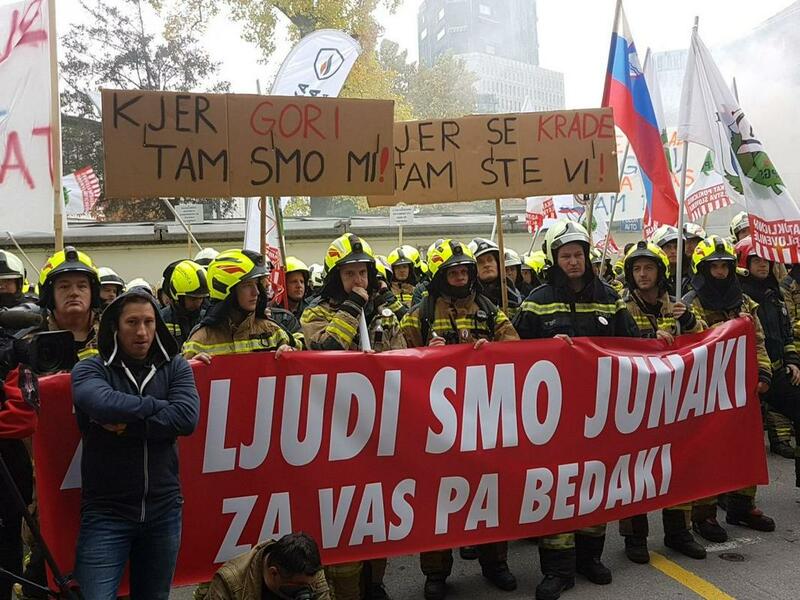 The Vice Shift Commander at the 150-person Ljubljana Fire Department, Silvo Kuntarič, explained that firefighters are classified under 31 different workplace designations. Beginner firefighters start in the 17th pay grade, which is virtually the minimum wage, while top-level commanders are classified in the 48th pay grade. "What the government was offering us amounted to giving something to certain employees, but nothing at all to others," he stated. 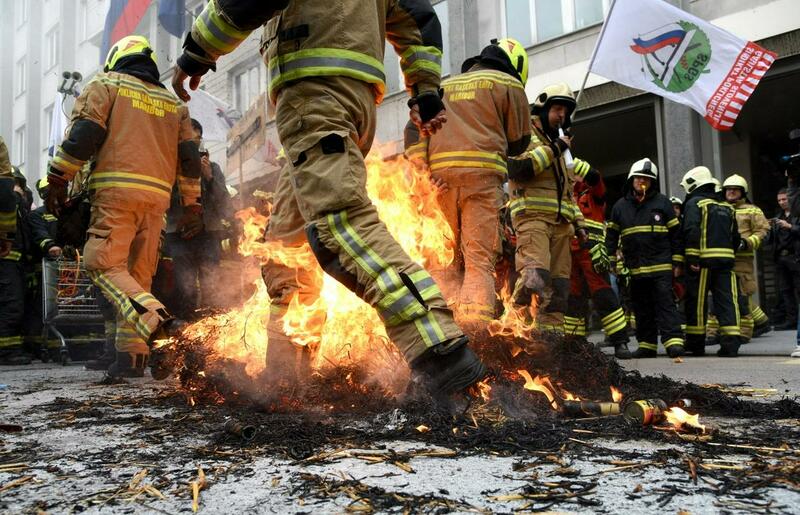 "We firefighters have a hard time striking." 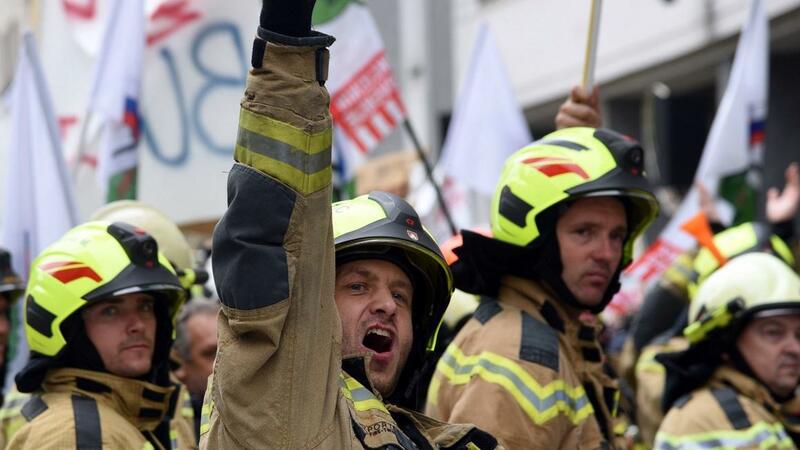 Will a strike follow if the government rejects the firefighters' proposals? "That would be our last option. 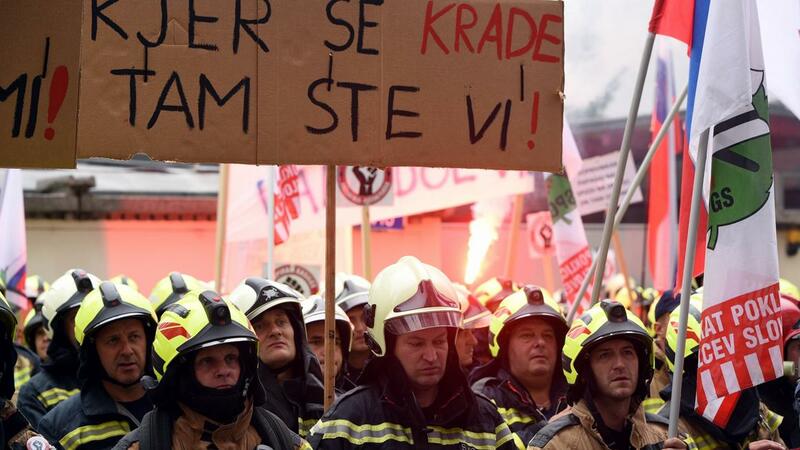 Nobody wants a strike, least of all us, since firefighters have a hard time striking. Police officers simply stop issuing citations, and people even enjoy that, but we have to respond to all emergency calls, because we can't allow a building to burn down just because we're on strike. 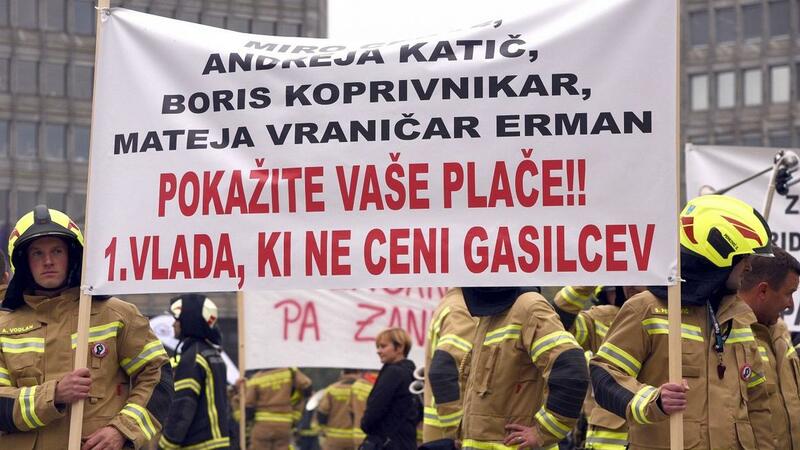 Our greatest advantage is today's' protest as well as public opinion, which is – I'm convinced – on our side," said Kuntarič. Firefighter representatives who spoke to the crowd also drew attention to the emotions felt by firefighters when they recognize injured people whom they can no longer help and then have to notify the next-of-kin. 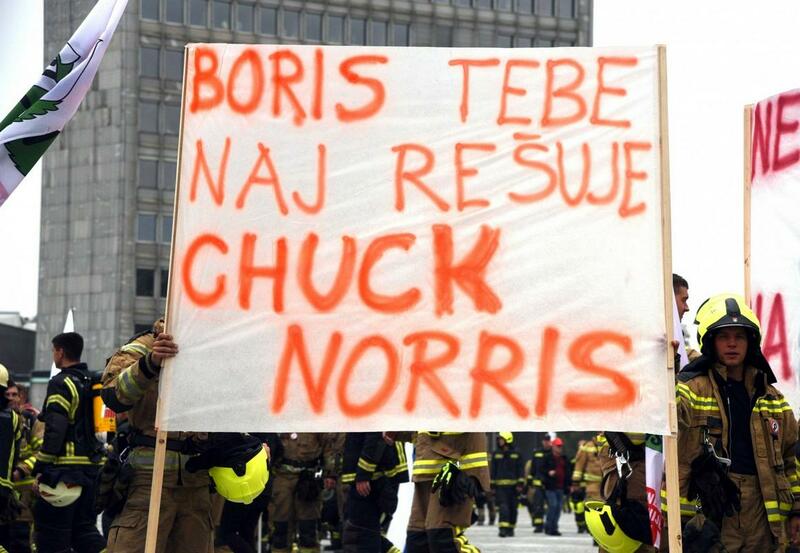 They also spoke about the dangers faced by firefighters every day. "We chose this profession ourselves, and we don't regret that choice, but we also demand fair compensation." 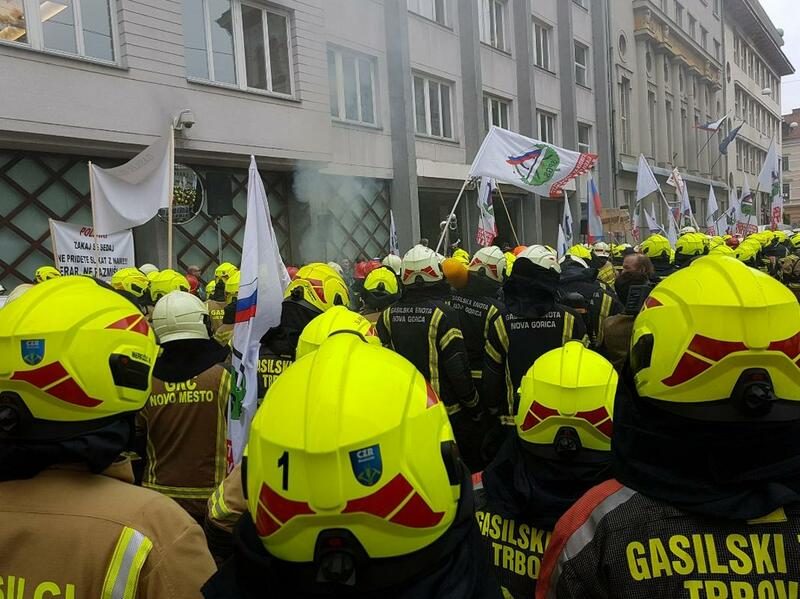 A group of firefighters who had just helped to extract an injured person from a mangled car joined the protest when it was already in progress. Do firefighters really deserve "some spare change"? 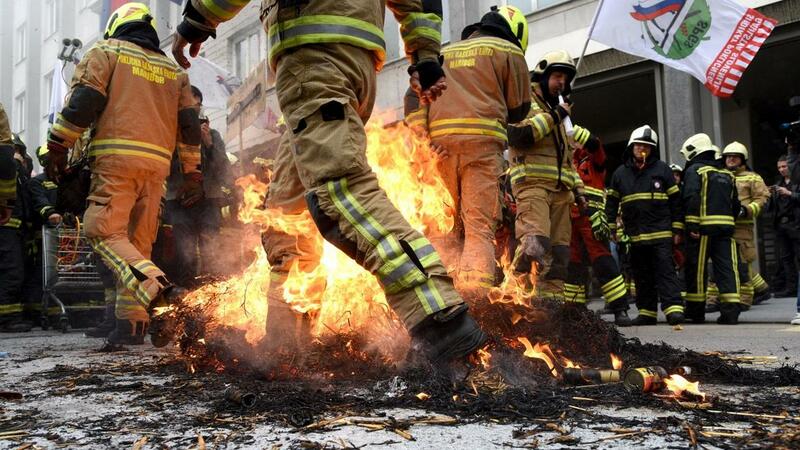 Do you honestly believe that firefighters don't deserve "some spare change from the budget?" 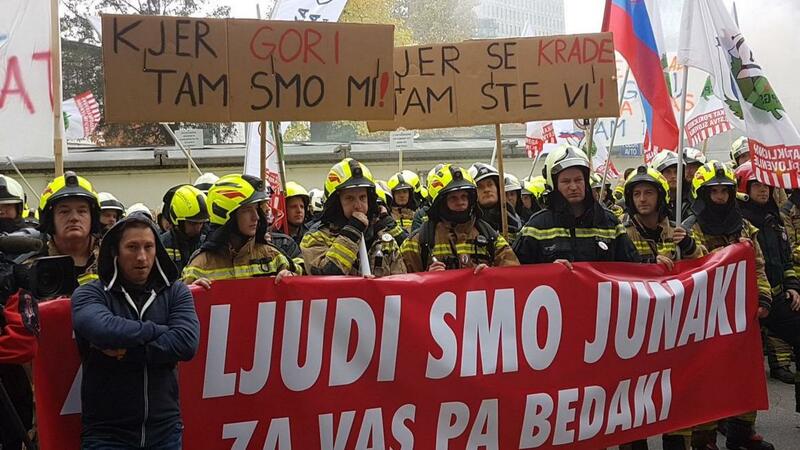 asked Domžale-based professional firefighter Robert Horvat and added that the firefighters had no option but to take part in the protest, which is a result of an arrogant and dismissive attitude towards Slovenia's firefighters. 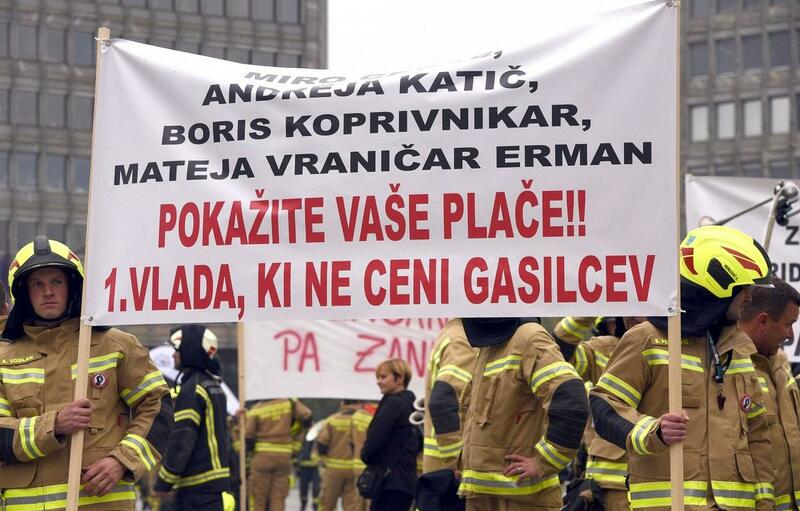 After a cabinet meeting, Minister of Defense Andreja Katič commented on the firefighters' strike: "I believe in negotiations in search of a compromise, but from the beginning, we have stood on opposite ends and the firefighters don't want to meet us half-way." 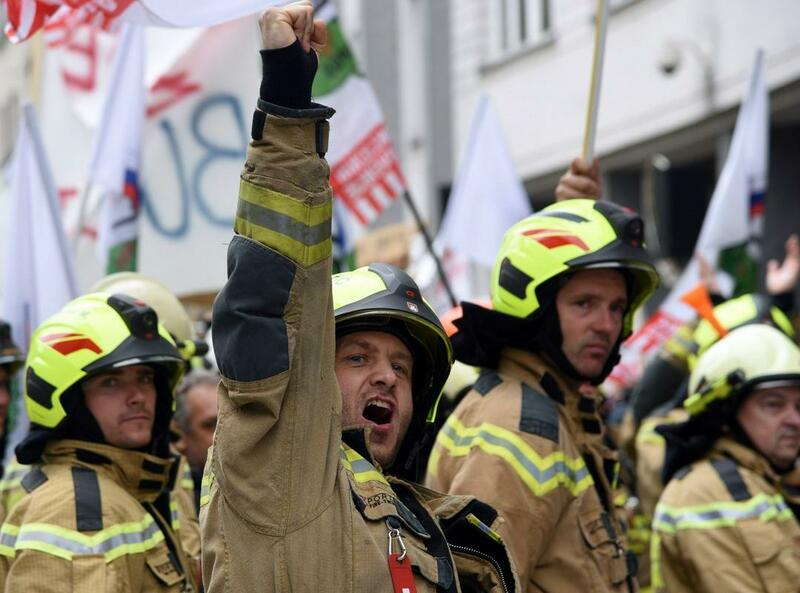 The minister believes that the government has backed down and looked for a solution, while the firefighters haven't made any attempts at a compromise.